An important step in keeping your profile up to date is maintaining an up-to-date service area. 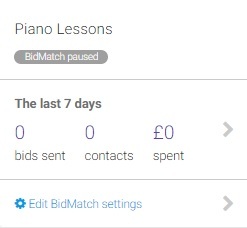 By ensuring that this is accurate, you will control that the requests we send you are only in areas where you operate. Click Edit to adjust your settings accordingly. This will open the travel preferences editor. 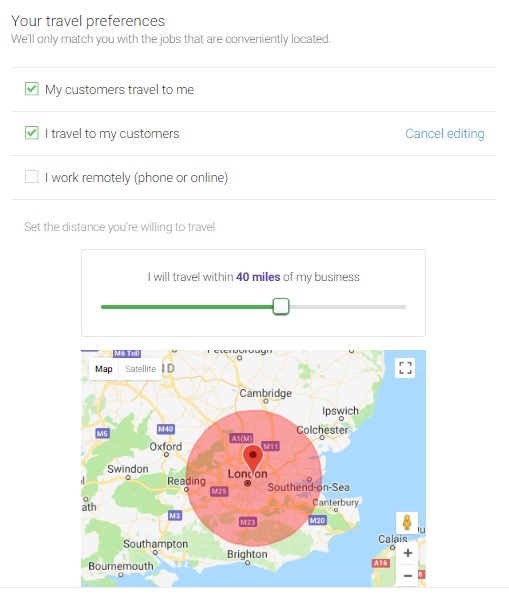 You can select your travel preferences and indicate whether you travel to customers, expect customers to travel to you, or conduct your business remotely. When you click on edit, you can adjust how far or close you want to travel from your central postcode then click save. 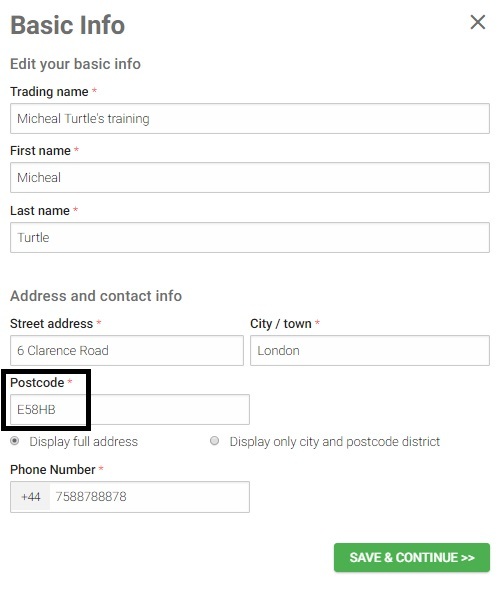 Please note: The centre point for your travel radius can be edited by going to Company Profile then click edit to update your postcode.